Vygotsky was born in Russia in 1896 and died of tuberculosis in 1934 at the age of 37. Although his life was short, it was remarkably full and prolific. Vygotsky spoke Russian, English, German, Hebrew and French, and also studied Latin, Greek and Esperanto. He had careers as a literary and theatre critic, teacher, developmental psychologist and researcher. Over the last several decades, his writings have been translated into English and have had considerable impact in some educational and psychological settings in North America. In this talk, I will discuss several of Vygotsky’s key ideas and their relevance to immersion education. For example, Vygotsky argued that our ability to think/learn develops from our interactions with others and artifacts in our environment. These interactions are mediated by language. This means that language is not only a communication skill, but importantly, it is a tool that mediates learning and development. These ideas have implications for both language learning and the learning of academic content with respect to the use of collaborative dialogue and private speech, and the use of the first and target languages. These ideas also have implications for the appropriateness of different immersion models given sociopolitical contexts and students’ linguistic histories. Dr. Merrill Swain is Professor Emeritus in the Department of Curriculum, Teaching and Learning at the Ontario Institute for Studies in Education of the University of Toronto. She has taught and conducted research at OISE/UT for 40 years. Her interests include bilingual education (particularly French immersion education) and second language learning, teaching and testing. Her present research focuses on the role of collaborative dialogue and "languaging" in second language learning within a Vygotskyan sociocultural theory of mind framework. 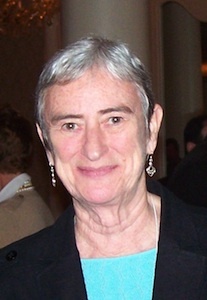 Dr. Swain was President of the American Association for Applied Linguistics in 1998-99, and a Vice President of the Executive Board of the International Association of Applied Linguistics (AILA) from 1999-2005. She is a recipient of the 2003 Robert Roy Award which is given to "an outstanding Canadian second language educator who has been active in the second language professional community in teaching, research, and writing, and is dedicated to the improvement of second language teaching and learning in Canada." She is also a recipient of the American Association for Applied Linguistics' 2004 Distinguished Scholarship and Service Award, and of the 2007 Language Learning Distinguished Visiting Scholar Award held at the Beijing Foreign Studies University. She received an Honorary Doctorate from the University of Vaasa, Finland, in 2011. Dr. Swain's most recent book, co-authored with Linda Steinman and Penny Kinnear is Sociocultural Theory and Second Language Education: An Introduction through Narratives (Multilingual Matters). Another book of interest to the present audience is Immersion Education: International Perspectives (CUP) co-edited with Keith Johnson. Dr. Swain is author of over 150 published articles, as well as many book chapters. She has given talks and workshops in many parts of the world, most recently in Australia, Brazil, China, Korea, Japan, Hong Kong, Ireland, New Zealand and Spain.